Add style and a safe step into your ride with APS 5" Black IBoards. These boards have a sleek, low profile design and offer a wide 5" stepping area. 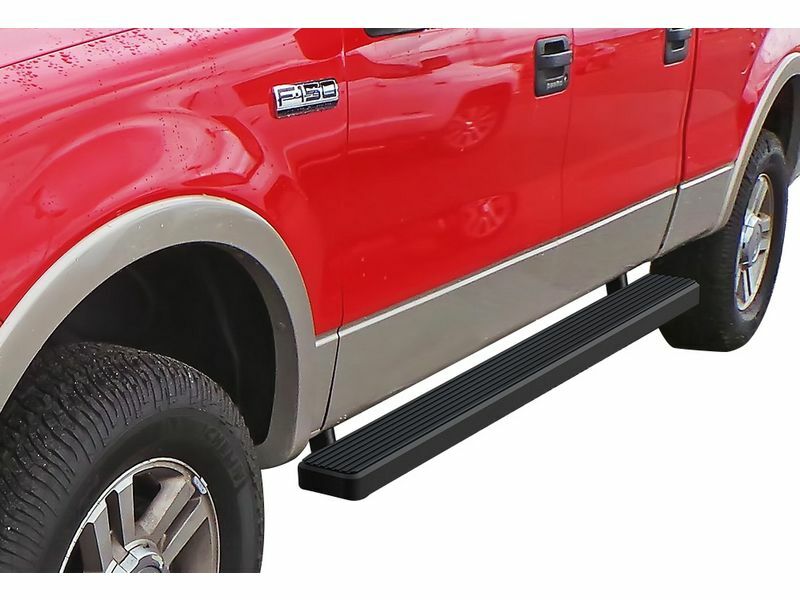 They are also UV resistant and have non-slip stepping pads to ensure you will get in and out of your rig safely whether rain or shine. APS 5" Black IBoards are constructed of 6061 aircraft aluminum which means these bad boys are rust and corrosion resistant. APS offers these boards in a matte black finish with a 5" stepping area containing nonslip-slip pads that run along the entire board. This ensures IBoards will have a superior fit and finish while matching your style and providing a safe step up for years to come. APS 5" Black IBoards have a quick and easy installation process and normally only take about an hour to install. Once installed you can get out there and start to show 'em off! Make your ride stand out by adding style and functionality today with a set of APS 5" Black IBoards. APS 5” Black IBoards are backed by a one-year warranty covering all defects in materials and workmanship. APS 5” Black IBoards have an easy installation process and can normally be installed within an hour. Most applications require no drilling and any additional installation hardware will be included along with a set of Install instructions.